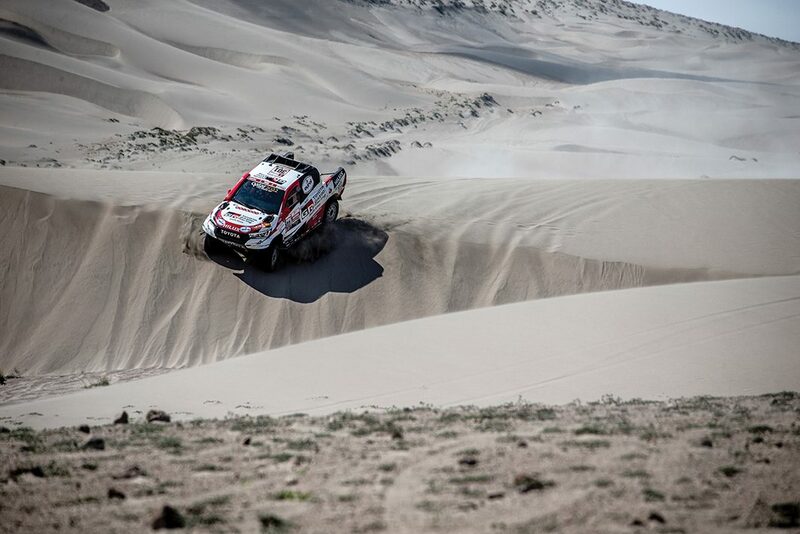 The final stage of Dakar 2019 drew to a close at the bivouac in Pisco, and saw Toyota Gazoo Racing SA’s Nasser Al Attiyah and Mathieu Baumel bring home their South African-built Toyota Hilux for an historic victory. 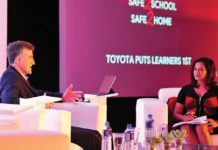 Not only was it a first win for Toyota, but it was also the first petrol-powered car to win the Dakar in the South-American era. 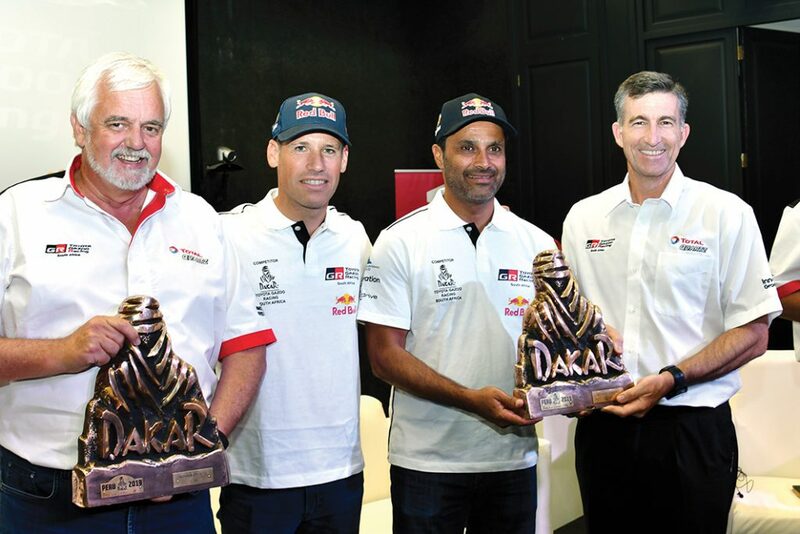 The Qatari driver ensured his French navigator, who turned 43-years-old on January 17, received the best birthday present ever, when the pair arrived at the final time control of Dakar 2019 with teammates Giniel de Villiers and Dirk von Zitzewitz in close formation. 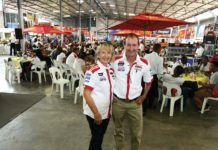 Toyota Gazoo Racing SA led Dakar 2019 from the first to the last stage, with Al Attiyah/Baumel drawing first blood, before handing the mantle to De Villiers/Von Zitzewitz during stage 2. 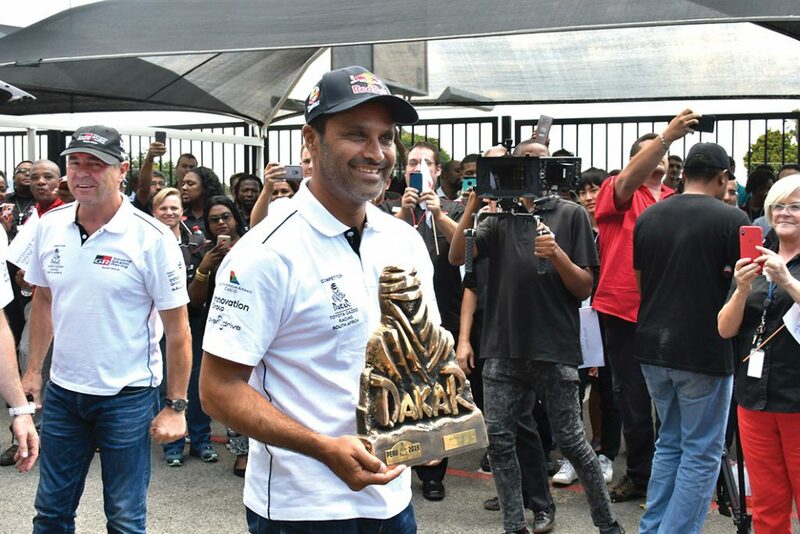 But then a disastrous Stage 3 saw the Qatari retake the lead – a lead he didn’t relinquish despite some of the toughest stages yet seen on any South-American Dakar.